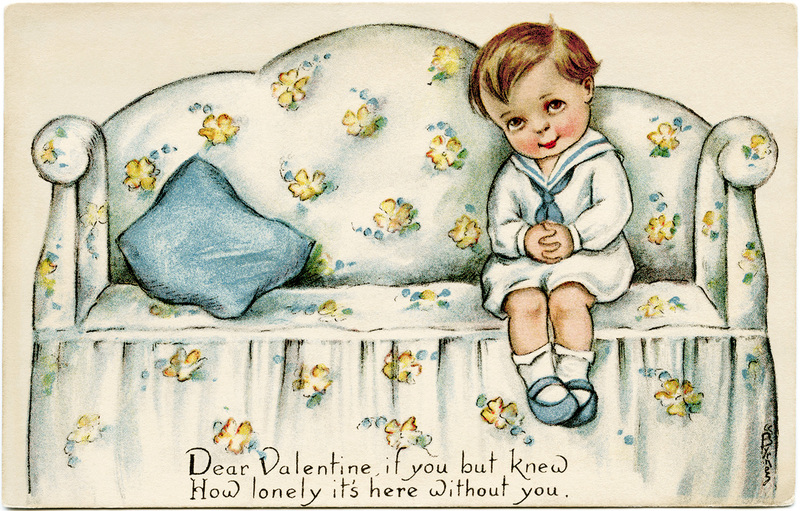 Here are two adorable vintage children valentine images. They are scanned from old postcards. The first image features an illustration of an energetic young girl playing tennis. She is wearing a white tennis outfit with blue trim and a white ribbon tied into a bow in her hair. There is a red valentine heart on the upper sleeve of her shirt. 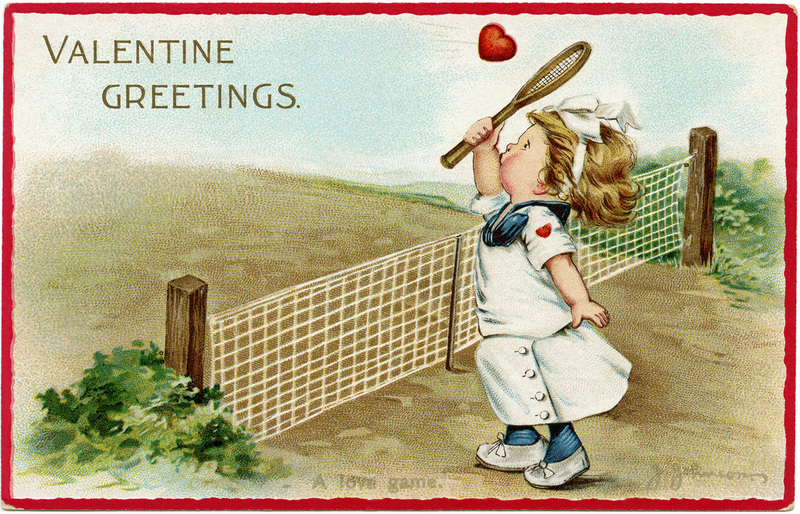 The girl is about to hit the tennis ball, which is shaped like a red valentine heart, with her racket. The message on the upper left of the card is: Valentine Greetings. The title of the postcard is “A love game” and it is signed by artist J. Johnson. The second of the vintage children valentine images is of a cute little brown-haired boy seated on a comfy looking blue and white love seat with a yellow floral pattern. The little boy is wearing a white sailor suit with blue trim on the collar and a blue tie. He looks shy and lonely. How lonely it’s here without you. 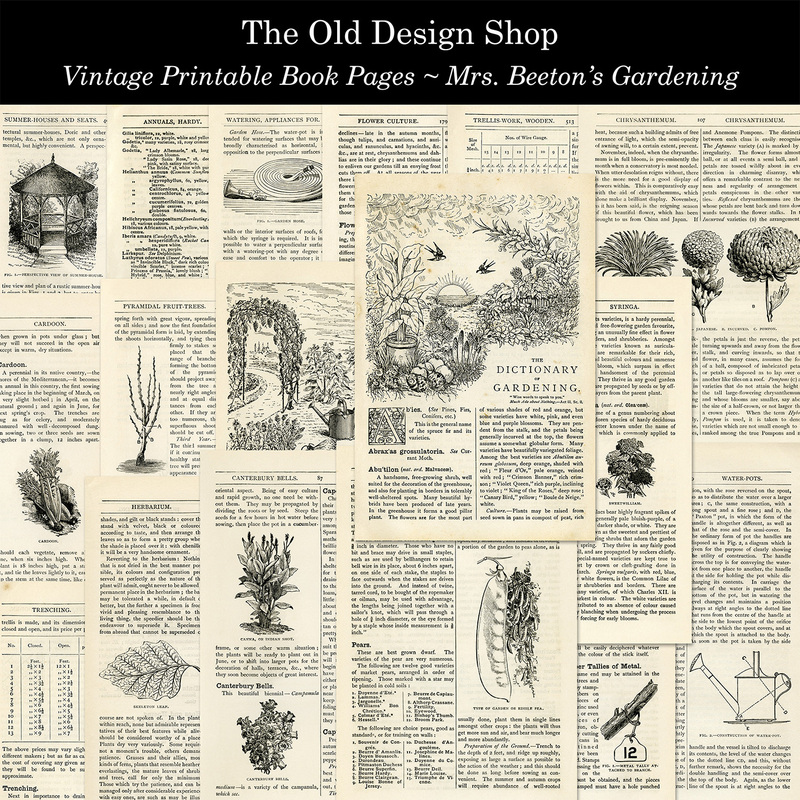 New in my Etsy shop this week is a set of 18 printable vintage gardening book pages. 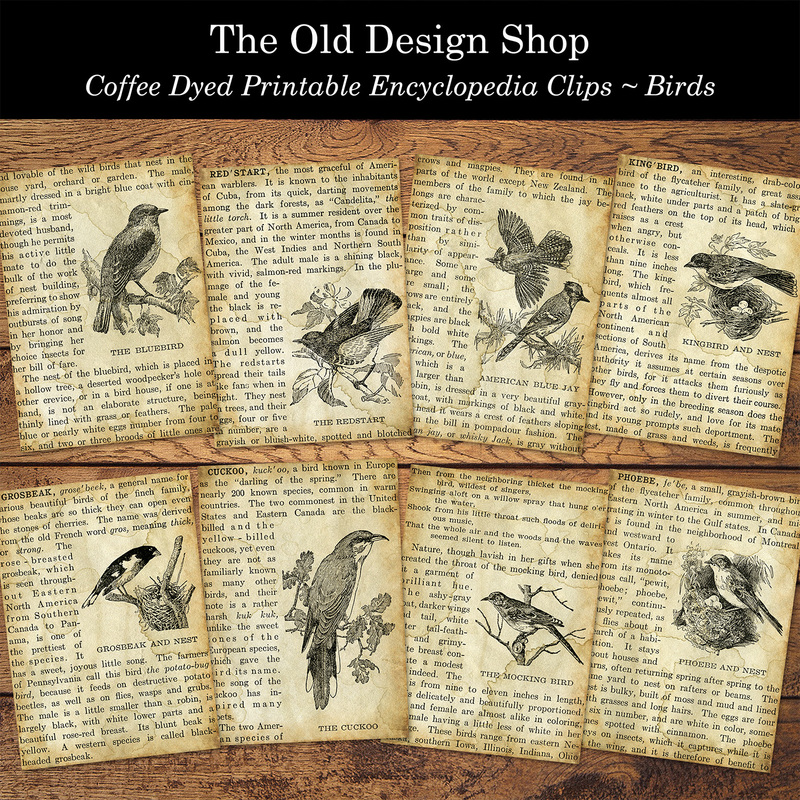 I have also added a printable coffee dyed set of eight vintage bird encyclopedia clippings to my shop this week. Occasionally I receive a request to provide the individual cards, separated from the background of my printable collage sheets. I will now be providing the individual cards regularly with my new ATC card digital collage sheets. This will make it more convenient for digital scrapbookers (and others who prefer working with individual images) to work with these cards from my shop. Thank you Julie…these are adorable! Julie, these are adorable and I’ve never seen either of them before! Their outfits are so cute also!